Come experience how simple it is to make your own sauerkraut, yogurt, and other fermented delicacies. Learn about the healing qualities and nutritional importance of live-culture ferments, as well as their illustrious history and integral role in human cultural evolution. Empower yourself with simple techniques for fermenting these healthful foods in your home. Be part of the fermentation revival! 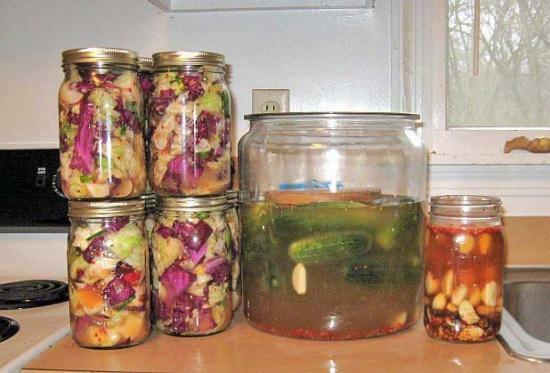 Sandor Ellix Katz is a fermentation revivalist and author, who lives in Cannon County and travels widely teaching and sharing fermentation skills. His passion for fermentation developed out of his overlapping interests in food, nutrition, and gardening. His books are Wild Fermentation: The Flavor, Nutrition, and Craft of Live-Culture Foods and The Revolution Will Not Be Microwaved: Inside America's Underground Food Movements. For more information visit www.wildfermentation.com.